Visitors to New Orleans have many dining options. Those who want to enjoy great food and genuine New Orleans atmosphere should go to The Court of Two Sisters Live Jazz Brunch. The Court of Two Sisters is located in a historic building on what is referred to as “Governor’s Row” in the French Quarter. In the outdoor courtyard, diners will be seated amid flickering gas lamps, fountains and formal gardens. The romantic atmosphere is the perfect backdrop for an award-winning meal. Brunch-goers will find an amazing array of dishes for their consumption. Omelets, Eggs Benedict, and other brunch standards are available daily. Those who want to sample traditional Creole cuisine will have plenty of choices, too. Buffet offerings, both hot and cold, will vary based on the season and the time of day. The buffet also includes a glass of the restaurant’s private-label wine or a Mimosa. Full bar service is also available. The Court of Two Sisters offers live jazz every day. 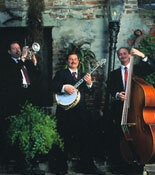 Diners can see and hear authentic New Orleans jazz performed by a trio while enjoying an award-winning brunch. Located at 613 Royal Street in the French Quarter, the Court of Two Sisters is the ideal brunch spot for those who want to visit the art galleries and antique stores on Royal Street. Many other French Quarter attractions are only a short stroll away.